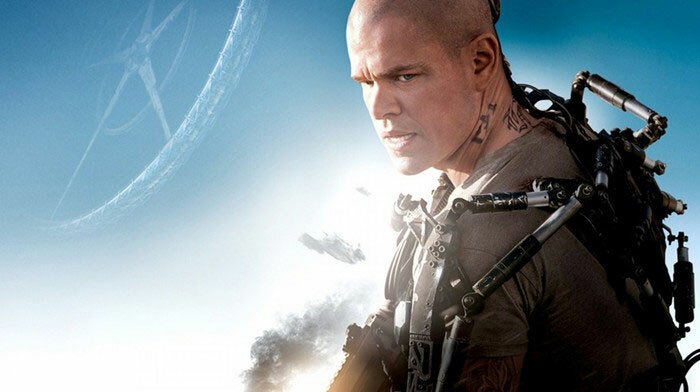 If you are a big fan of Matt Damon, you should be interested in this Matt Damon new movie – Elysium. Elysium is a 2013 science fiction action-thriller film directed by Neill Blomkamp and starring Matt Damon and Jodie Foster. In the year 2154, two classes of people exist: the very wealthy, who live on a luxurious man-made space station called Elysium, and the poor, who live on an overpopulated, ruined Earth. The people of Earth are desperate to escape the planet's crime and poverty, and they critically need the state-of-the-art medical care available on Elysium - but some like Secretary Delacourt (Jodie Foster) in Elysium will stop at nothing to enforce anti-immigration laws and preserve their citizens' luxurious lifestyle. The only man with the chance bring equality to these worlds is Max (Matt Damon), an ordinary guy in desperate need to get to Elysium. With his life hanging in the balance, he reluctantly takes on a dangerous mission - one that pits him against the Elysium's Secretary Delacourt and her hard-line forces - but if he succeeds, he could save not only his own life, but millions of people on Earth as well. Elysium has receives a good reputation. Meanwhile, Review aggregation website Rotten Tomatoes gives a score of 68% based on reviews from 222 critics. For those who missed the movie in theatre, don’t sigh. 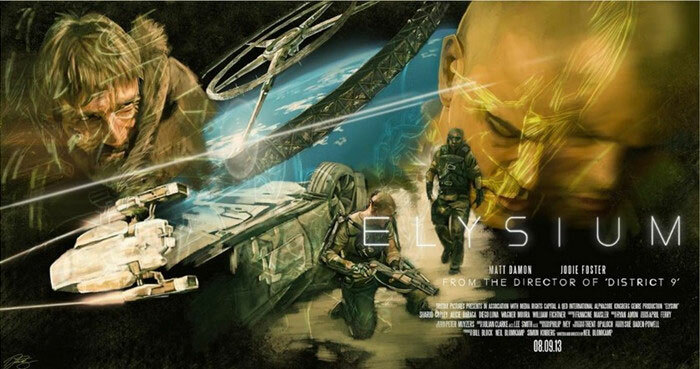 The DVD Elysium is to be released on November or December. And for many science fiction movie lovers, adding this movie in DVD collection could be a good choice. After you buy this DVD, you may tend to copy DVD Elysium or rip DVD Elysium on your PC and then easily enjoy the film on your portable device like iPad, iPhone, Google Nexus 7, etc at anytime and anywhere. So we’ll provide a step–by-step guide on how to copy DVD Elysium at faster speed and without any quality loss. 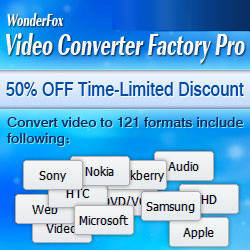 WonderFox DVD Video Converter can decrypt and copy any protected DVDs in simple steps including the Disney DVDs. So it’s very easy to copy DVD Elysium with this DVD ripper. 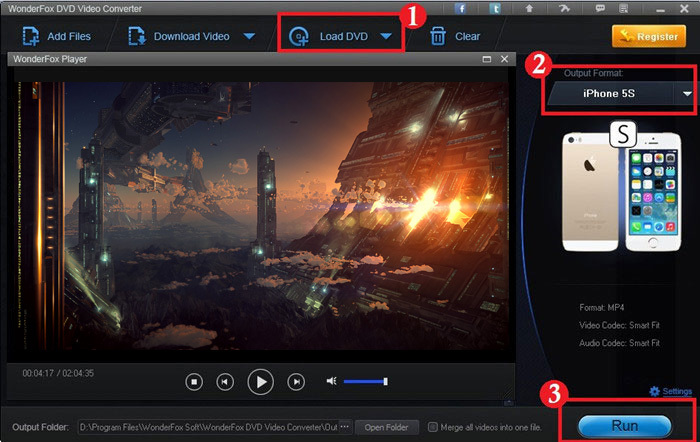 Besides, it’s used as a marvelous video converter, a versatile video editor and what’s more, a smart online video downloader. That means, you can freely download your favorite YouTube videos or Vimeo videos and save them for convenient playback. You can also merge video clips into one video file. To rip DVD Elysium, all you need to do are the following 3 steps. Step 1: Run the software and you can add DVD to it by clicking the “Load DVD” button. Tip: You are able to choose which part of the movie you want to rip and convert. There are 2 options. One is the main movie while another is all movies. Step 2: Choose an output format or a certain device like MP4, WMV, MKV, HD AVI, HD TS, iPhone 5S, iPhone 5C, iPod Touch and any more. Step 3: Click “Run” button to start to copy DVD Elysium. See? It’s very simple to rip DVD Elysium. 1. Still have a question? Please feel free to Email Us. 2. Or you can follow our Facebook or Twitter to get free professional support.